January 19, 2017 - Andrew Keech, Australian native and lifelong aviation enthusiast, is an accomplished skydiver and pilot. After an impressive start in a parachuting career, Keech, EAA 169840, came to the United States and quickly became one of the world’s top freefall photographers. 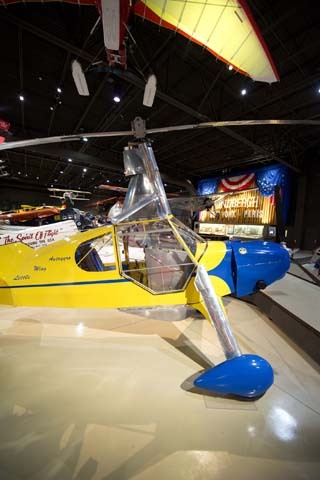 Keech flew gliders, tow planes, jump aircraft, and helicopters and eventually became fascinated with the world of autogyros. 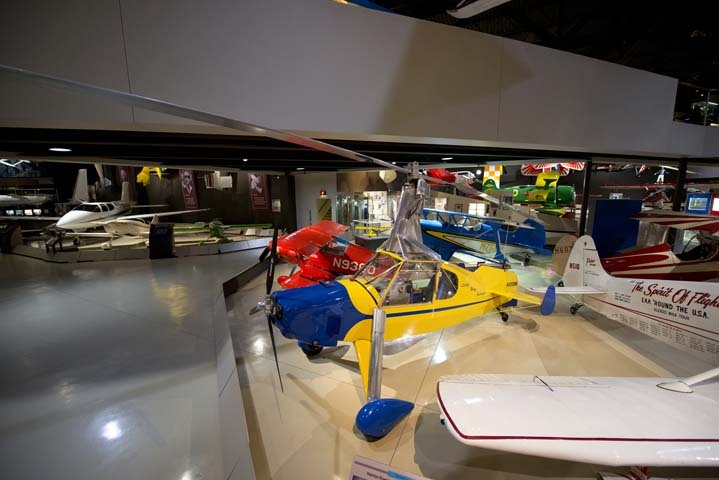 He worked with Ron Herron, designer of the Little Wing Autogyro, to design a light, high-performance, and safe gyroplane. Together, they built the LW-5, a project that took more than 1,000 hours over a span of five years to complete. 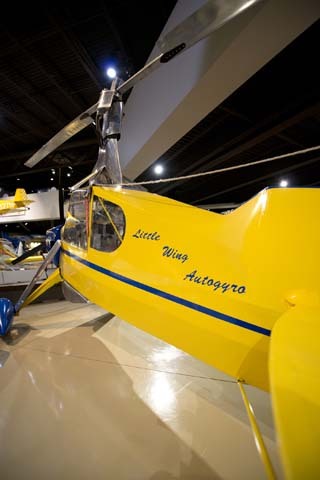 The Little Wing LW-5 autogyro was dubbed Woodstock after the bird in the Peanuts comic strip created by Charles Schulz. Woodstock is a one-of-a-kind model customized for Andy to fly. 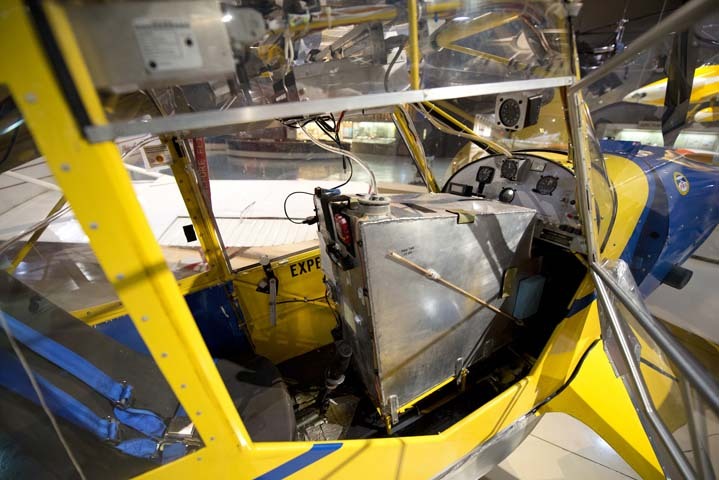 The plane has a tandem seat arrangement made for either a passenger or a ferry tank in the front and is a little shorter and narrower than Herron’s other Little Wing designs. Woodstock is powered by a 115-hp Rotax 914 engine and has a welded 4130 chromoly steel tube frame covered in Ceconite. The LW-5 uses a two-bladed rotor on a direct control, fully tilting rotor head. In October 2003, Keech flew Woodstock across the U.S. and back, breaking three transcontinental speed records that were first set by John Miller, a fellow EAA member. Since then, Keech’s adventurous nature has led him to set 29 Fédération Aéronautique Internationale (FAI) world performance records and 29 National Aeronautic Association (NAA) performance records. Woodstock is one of only two aircraft ever to hold world-class records in all parameters of performance flight – speed, distance, climb, and altitude. 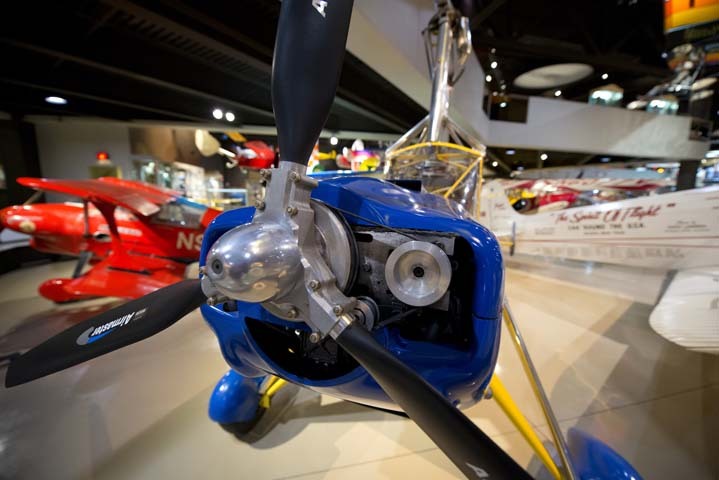 In addition to his numerous records, Andy and Woodstock were honored with some of aviation’s most prestigious awards including The Spirit of Wiley Post award and the Most Memorable Aviation Records of 2004 award and again for 2006. February 28, 2005, was proclaimed Andy Keech Day in Oklahoma and Keech was interviewed for EAA’s Timeless Voices oral history program. 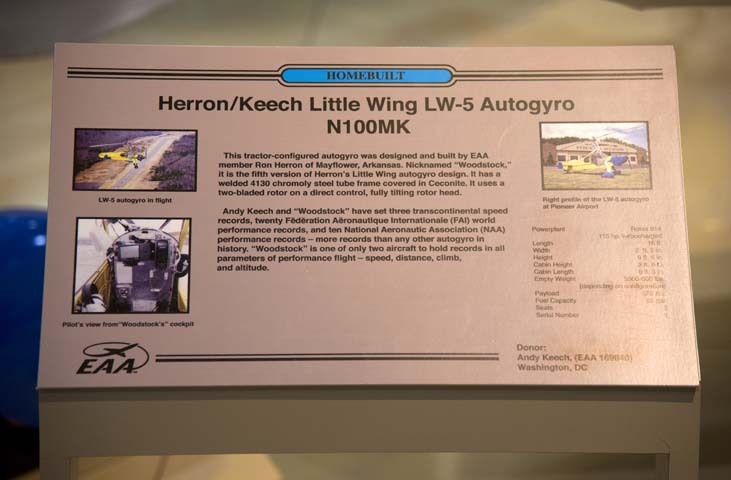 Keech donated his Little Wing LW-5 autogyro to the EAA AirVenture Museum in 2007.